Фотобанк Rusmediabank – лицензионные Фото, Видео, Музыка - Silver camera. A bronze prize in the form of a TV and other types of prizes.Movie award,sset collection icons in flat,outline,monochrome style vector symbol stock illustration web. Silver camera. A bronze prize in the form of a TV and other types of prizes.Movie award,sset collection icons in flat,outline,monochrome style vector symbol stock illustration web. Silver camera. 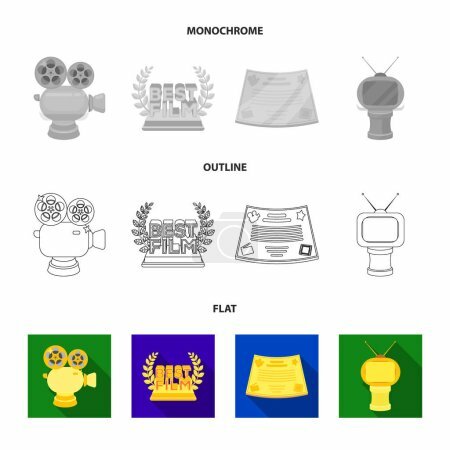 A bronze prize in the form of a TV and other types of prizes.Movie awards set collection icons in flat,outline,monochrome style vector symbol stock illustration .